SAMSUNG is preparing to release the Galaxy S8 and leaks and rumours are already rife about what the new product will include. Here’s everything you need to know about the new phone including release date, specs, rumours, features and price. Samsung fans were dealt a blow after the Galaxy Note 7 explosion debacle pushed the S8 release date back until April. It has since been confirmed that the new model will be released on March 29, TechRadar reports. It will be on pre-order from April 10 and is rumoured to land in stores on April 21. The phone makers revealed that wrong sized batteries were to blame for the Note 7 which overheated and was recalled. The South Korean firm may have postponed this launch in order to fully investigate those problems. An exact figure has not yet been released but if previous prices and phones of similar models are a comparison then the Galaxy S8 will be in the region of £600. It is rumoured the phone wil seel for $850 in the US – roughly £700 in the UK, according to TechRadar. For customer’s in South Korea who bought the ill-fated Note 7 they can get some money off the new phone, by trading their old model in. Samsung leads the world in smartphone market share, and at a time of ascendant mobile computing, that seems like a great place to be. So why does the future look so glum for the South Korean hardware giant? On Tuesday, the world’s dominant smartphone maker said that its third-quarter profits would likely drop by about 60 percent and overall sales by more than 20 percent compared to the same time last year, blaming “intensified smartphone competition” for the decline. The prediction comes just weeks after chief rival Apple released its own phablet-sized thumb-busters to compete with large-screen devices from Samsung. 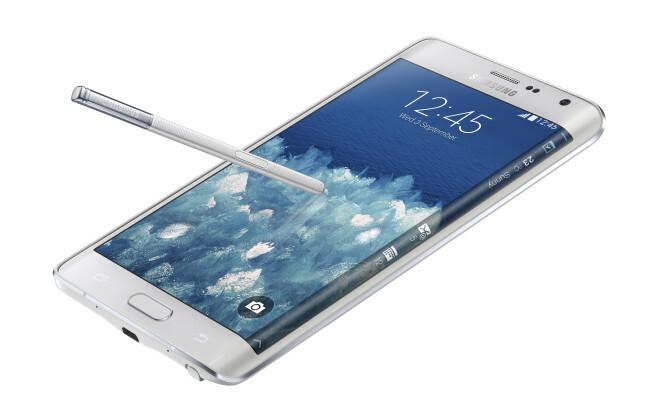 Strong sales of the iPhone 6 and 6 Plus could be eating into Samsung’s revenues. But that’s not the only force at work here. Aside from churning out impressive, feature-packed technology that dominates the smartphone industry, Samsung is also adept at stirring up interest in what it has up its sleeve. Last month the South Korean electronics giant announced it was working on “5G” technology that would one day be several hundred times faster than 4G — a claim that was downplayed as “hyperbole” by Forbes contributor Nigam Arora. Days after winning a $1.05 billion jury verdict against Samsung Electronics Co.,005930.SE -7.45% Apple Inc. AAPL +1.88% moved to block the sale of Samsung devices found to infringe its patents. 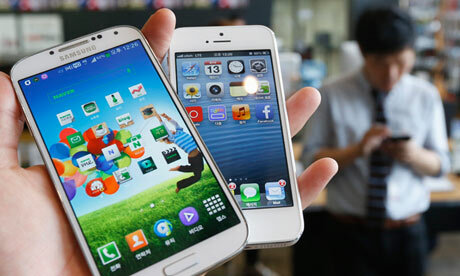 In a filing Monday in U.S. District Court for the Northern District of California, Apple said it is seeking a preliminary injunction against eight Samsung products, including versions of its Galaxy and Droid smartphones. Apple, of Cupertino, Calif., said it reserves the rights to pursue permanent injunctions banning the sale of all 28 devices that the jury on Friday found to violate Apple’s intellectual property. But Apple offered, in response to an order by Judge Lucy Koh, what it called a “tailored” list of Samsung products “to address a portion of the immediate, ongoing irreparable harm that Apple is suffering,” according to the filing. Samsung officials have already begun to talk to wireless carriers about removing or modifying infringing features to keep products on the market if the injunctions are granted, according to a person familiar with the matter. One of the most important devices in the scenario planning is the Galaxy S II smartphone, which was found to infringe patents related to the design of the phone and some involving software features. Share moments instantly with family and friends. With built-in WiFi, you can send photos to social networks and e-mail contacts—right from the camera. Plus, upload and store your memories from the camera to Microsoft SkyDrive. Roam great distances and capture them, too. With Smart Cameras ranging from 10x to 21x optical zoom, you move closer without taking a single step. Share striking detail without delay on your social networks. And cause travel envy without ever leaving where you’re standing. Catch the action like a pro. Images jump out in brilliantly crisp, bright detail with the 14MP to 16MP CCD Sensors in our Smart Cameras. Post them instantly and score “likes” for your shooting skills.